Join our physician Dr. Scott Gebhardt DO and our Cannabis Health Coach Kristina Risola, CHWC for a free medical cannabis education event! RSVP's encouraged, but not required. 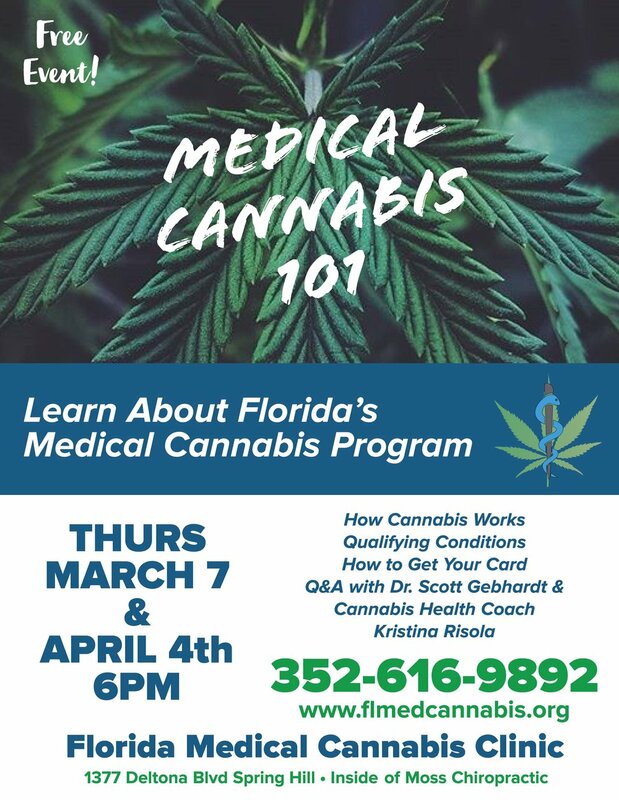 Email info@flmedcannabis.org to reserve your seat. FEEL FREE TO SHARE WITH AND BRING A FRIEND!